In January of 2018, the IVMA Board of Directors approved assembling the Veterinary Opioid Education Task Force. 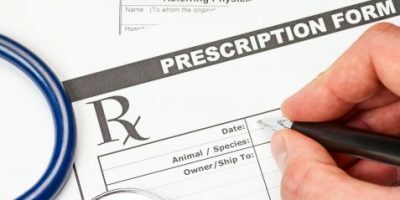 This task force is charged with assessing the laws that pertain to the legal prescribing and dispensing of opioid drugs by veterinarians in Indiana. The task force has been working to assimilate the best and most accurate information for IVMA members. This work illustrates one more important value of your IVMA membership. 1. Register for the INSPECT database. Beginning January 1, 2019, a practitioner who is permitted to distribute, dispense, prescribe, conduct research with respect to, or administer ephedrine, Pseudoephedrine, or a controlled substance in the course of the practitioner’s professional practice or research in the United States must be certified under section 11.1(d)(4) of this chapter to receive information from the INSPECT program. (This applies to Veterinarians who hold an Indiana CSR.) INSPECT (Indiana Scheduled Prescription Electronic Collection and Tracking Program) is Indiana’s own prescription drug monitoring program (PDMP) that serves as a tool to reduce the abuse, acquisition and diversion of prescription drugs in Indiana. INSPECT is designed to help identify patients (or in the case of veterinarians, the owners of veterinary patients), who are addicted to opioids and engage in something called “doctor shopping” in which they go from doctor to doctor, or pharmacy to pharmacy to obtain as many prescriptions of opioids as possible. Veterinarians using this tool can contribute to reducing the impact of the opioid abuse crisis in their communities. ACTION: Become familiar with, and sign up for, participation in the INSPECT program: https://www.in.gov/pla/inspect/ This should have been completed by January 1, 2019. Register today if you have not yet done so. 2. Once registered for INSPECT, reporting to the Clearinghouse is required. Prescription data submissions are now being submitted through the Appriss PMP Clearinghouse. Please use the following link: https://pmpclearinghouse.net. All controlled substances (72-hour supply or more) dispensed from a pharmacy, physician’s office, clinic or hospital must be reported to INSPECT within 24 hours of the dispensation. This does not include any medication administered directly to a patient within a facility. These prescriptions can be reported to INSPECT through the PMP Clearinghouse. Each facility that dispenses controlled substances can register for a PMP Clearinghouse account using the link listed above. 3. Continuing education on opioid prescribing and potential abuse will be required to renew your Controlled Substances Registration (CSR) by October 15, 2019. According to Indiana law, all practitioners who renew their CSR must complete two (2) hours of continuing education during the previous two years addressing the topic of opioid prescribing and opioid abuse. Click here to learn more about CE opportunities offered by IVMA. 4. Veterinarians will be required to query the INSPECT database before prescribing or dispensing controlled substances beginning January 1, 2021. More information from IVMA will be forthcoming to assist you with how to comply with this new change in Indiana law. This information is provided to you as a service from the Indiana Veterinary Medical Association. 1. Do I need my own DEA to participate in INSPECT? The short answer is, based on the language of Indiana Code § 35-48-7-11.3 and the guidance of the Professional Licensing Agency, it appears that any veterinarian that distributes, dispenses, or prescribes a controlled substance is required to register for INSPECT, and the IPLA requires that each practitioner INSPECT registrant have their own individual DEA License to register. 2. Where can I obtain the continuing education needed to renew my Controlled Substances Registration later this fall? The task force is currently working to develop the best options for IVMA members to obtain this continuing education. Stay tuned – we will keep you informed in the coming weeks. If you had an account on the original Indiana Prescription Monitoring Program system, please check your email for information regarding access to the new website. If you are unable to locate the email or if you require technical assistance please contact support at 844-446-4767 or submit your request to inspect@pla.in.gov and someone will assist with account updates and password resets within 24 hours.